No Cocktail Party should be without this beautiful handmade 6pc Hors D'Ouvres Cutlery Set. 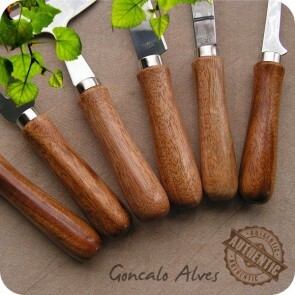 For these particular pieces, I have selected an exotic wood called Jobillo or Goncalo Alves Wood. Jobillo is a native wood of Mexico and southward to the regions of Brazil, South America. 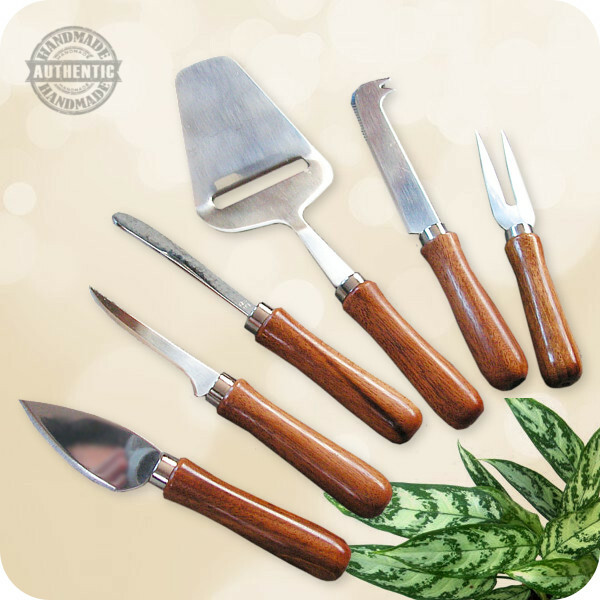 The wood has superb stiffness, strength, hardness, and durability and makes an excellent choice for quality handles. While the sapwood is very light in color, the heartwood is a sombre brown, with dark streaks that give it a unique look. The wood’s color will deepen with exposure and age. You might also want to know that Jobillo Wood is not listed in the CITES Appendices or on the IUCN Red List of Threatened Species. Perfect for the Cocktail Party! 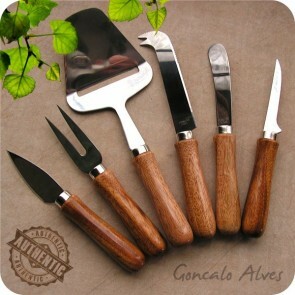 Listing is for (1) ONE 6pc Cutlery Set only!